Point2 Homes gives you far more than a simple list of houses for sale. Get instant access to a lot of relevant information about Saskatchewan real estate, including property descriptions, virtual tours, maps and photos. The search results pages also have a wealth of information on Saskatchewan, if you scroll all the way down. There are 9,757 houses for sale in Saskatchewan. Searching homes for sale in Saskatchewan has never been more convenient. 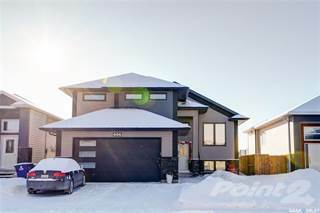 With Point2 Homes, you can easily browse through Saskatchewan single family homes for sale, townhomes, condos and commercial properties, and quickly get a general perspective of the real estate prices. Also, you’ll never miss a bargain if you filter listings based on house price drops in the past six months. 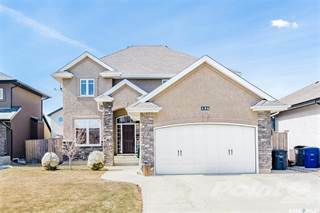 Use the map view to find Saskatchewan homes and apartments for sale, based on amenities or city features that you may want close by. You can close in on a specific neighbourhood or area by simply drawing around them with the polygon or radius tools. Stay informed about the latest entries on the real estate market by saving your searches. This way, you get new listings in your inbox, daily or every week, based on your preferences. If you’d like to get in touch with a professional, agents are displayed next to their listings, and they’re easy to contact through the online forms. If you want more options, you can click the Tools tab and Find an Agent, and you’ll get a list of helpful and knowledgeable real estate agents in Saskatchewan. Visit the Point2 Homes blog and you can find up to date expert advice on many markets throughout Canada, regular market reports, neighbourhood scoops in cities throughout the provinces, real estate deals and useful recommendations. Saskatchewan is a Canadian province located in the western portion of the country and bordered by the provinces of Alberta to the west and Manitoba to the east, as well as the Northwest Territories to the north. The province shares its southern border with the United States (North Dakota and Montana). Saskatchewan covers 651,900 square kilometres, about 9% of which is water in the form of lakes and rivers. The province is completely landlocked, but has approximately 100,000 lakes. Saskatchewan’s population is over 1.1 million people, making it the sixth most populated in the country. The province’s capital is Regina, which is located in the southern portion, closer to the Canada/United States border. Saskatchewan has a large First Nations population, as well as a large population of Métis people (those who are a mix of First Nations and original European settlers). In fact, the province’s name is derived from the First Nations term for the Saskatchewan River (“swift flowing river”). Other place names in the province have also come from First Nations terms and phrases. Saskatchewan has a number of provincial parks, which provide recreational opportunities such as hiking, fishing, camping, biking, and wildlife watching. These include Narrow Hills Provincial Park, in the centre of the province; Cypress Hills Interprovincial Park, located near the Alberta/ Saskatchewan border;Athabasca Sand Dunes Provincial Park, located near the Saskatchewan/Northwest Territories border; and Duck Mountain Provincial Park, located near the Saskatchewan/Manitoba border. The province also has two national parks: Prince Albert National Park, located in the centre of the province, and Grasslands National Park, located near the Canada/United States border. Nickname(s): "Land of the Living Skies"
Agriculture has historically been one of Saskatchewan’s largest industries, although this sector has been declining in recent years. Wheat, canola, flax, rye, oats, and other grains are produced in the province, as well as beef. Forestry, fishing, and hunting also contribute to the local economy. Mining, and oil and gas are large industries in Saskatchewan, with only Alberta exceeding the province in overall oil production. Saskatchewan is also the world’s largest exporter of potash and uranium. The service industry is the largest industry in the province, and includes finance, insurance, real estate, leasing, and business services. Social services, manufacturing, and construction are also big industries. Crown corporations and other government-related employers provide many jobs to local residents. These include Saskatchewan Government Insurance, SaskTel, SaskEnergy, and SaskPower. Other large companies in the area include the Potash Corporation of Saskatchewan, Federated Cooperatives Ltd., IPSCO, and Bombardier. Historical sites in the province include Gray Burial Site, located in Swift Current, which is one of the oldest burial sites on the Prairies; numerous forts (including Fort Walsh, Fort Pitt, Fort Battleford, and Fort Livingstone), which were established by European settlers; a number of churches, such as Holy Trinity Church (oldest church west of the Red River); and small museums and preserved properties such as Motherwell Homestead, which illustrates life during the Western Canada settlement period. Arts and culture activities can be found throughout the province, but especially in the more populated southern area. The Royal Saskatchewan Museum features exhibits about the natural and social history of the province, while the Western Development Museumfocuses on human history.Saskatchewan is home to the Saskatoon Symphony Orchestra and the Saskatoon Opera. The Saskatoon Forestry Farm Park and Zoo and the Assiniboia Gallery are also popular spots. Festivals include the FolkFest, the Regina Dragon Boat Festival, Saskatoon Jazz Festival, and the Saskatoon Fringe Theatre Festival. Saskatoon, with a population of over 220,000, is Saskatchewan’s largest city. It is located in the southern area of the province. The city is home to many of the province’s largest companies, as well as numerous arts, cultural, and recreational activities/events. Regina, the province’s capital, has over 190,000 people and is located in the southern area of the province, closer to the Canada/United States border. Prince Albert, with over 35,000 people, is located north of Saskatoon. There are over 33,000 people in Moose Jaw, which is located west of Regina. Yorkton, with over 15,000 people, is located closer to the Saskatchewan/Manitoba border. The northern part of the province is less populated than the southern part, so there are fewer real estate options in this section. It is often more common to rent in this area of the province than it is to purchase a home. Most single-family homes are in rural areas on very large properties. In the central section of Saskatchewan, single-family homes are affordable and are often on larger lots in rural areas and smaller towns. In Saskatoon, single-family home prices increase significantly, especially for newer builds. Condos are available in the province’s largest city, most of which are newly built, and commercial space is also available. Much of the province’s real estate can be found in the more populated southern section. A mix of single-family homes, condos, and commercial space can be found in the smaller towns in this area. Single-family homes that are older tend to be more affordable than larger new builds. 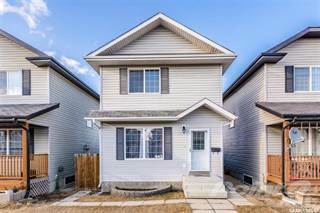 Single-family homes in the capital city of Regina also range in price depending on the home’s age, location, and size, with a significant difference between the cost of newer homes and older homes. The city also offers commercial space and condos. There are 28 school divisions in the province, which operate both English and French public schools. These schools follow a curriculum developed by the province, and some schools have both English and French classes for students. There are a number of independent schools (including boarding schools) in Saskatchewan, and these schools are also required to follow the provincial curriculum. Saskatchewan has two universities: the University of Regina (located in Regina), and the University of Saskatchewan (located in Saskatoon). There are also a number of affiliated colleges (connected to one of the two universities), private colleges, adult education options, and specialty training options.